This was a request by a friend in DA. Her character is Sam the skunk and she reequested this. I know the background isn't that good, but the stress is on the character anyway. I hope you like it though. 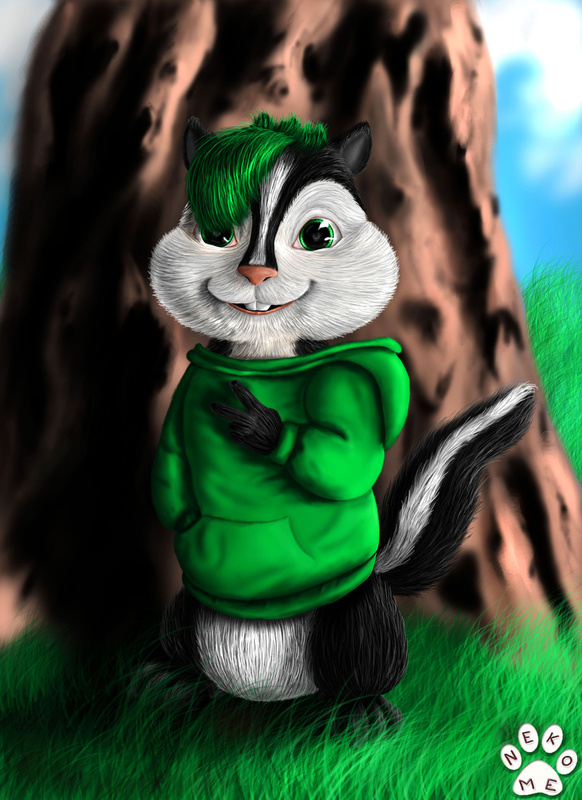 I'm glad to see another fellow skunk,he's cute,love the hair and you really did his eyes very well.